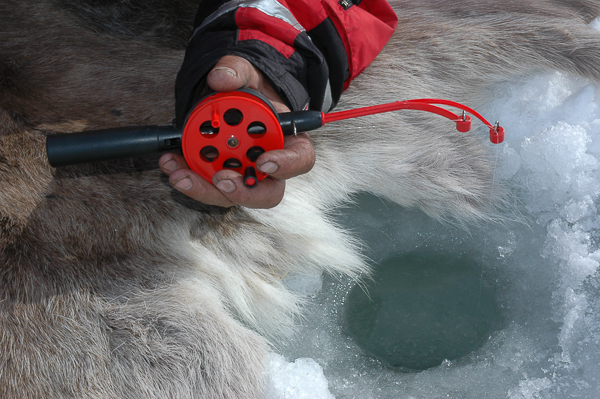 Our goal for the day is a lake (the walk is about 1-2 km one way) where we will try ice fishing for arctic char. We will make a fire and enjoy our lunch outdoors. 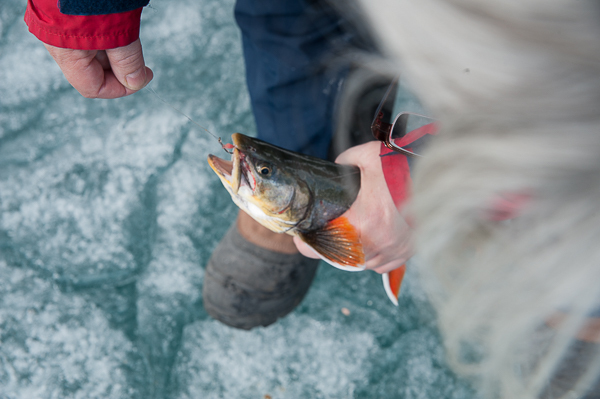 Ice fishing is an activity that demands a great deal of local knowledge, your guide will therefore choose where to go, depending on the date and weather conditions to get the best possible chance for a catch. 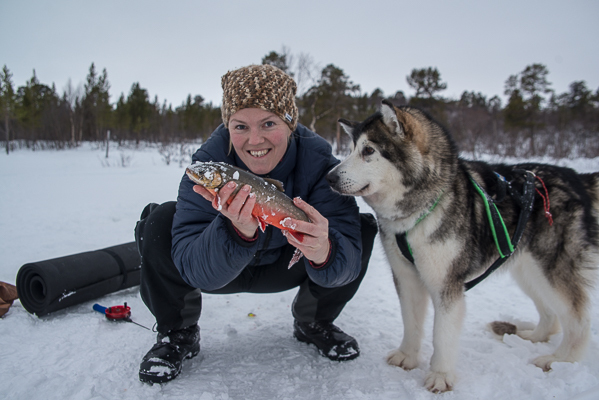 We drive by car from Karasjok, up to 30 minuts and then we will have a short and leisurely snow shoe hike to the lake in question. The hike will be on easy and flat terrain before we get onto the lake itself. 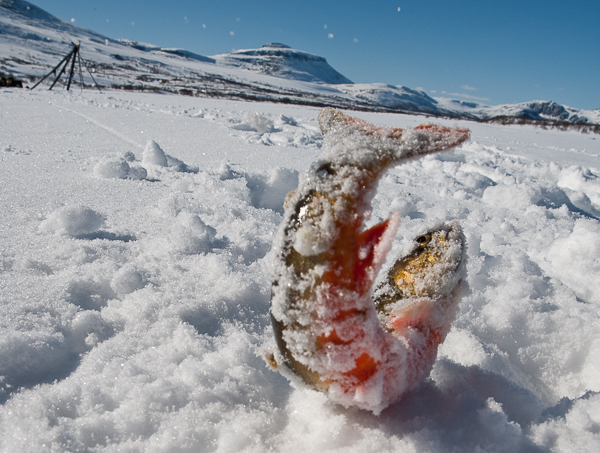 At the late we will drill our own fishing holes in the ice and start fishing, while your guide will prepare a nice sitting place in the snow, with a camp fire and all, if we catch fish, we will usually prepare and eat the catch straight on the fire, luxury lunch in the wild. Every day on request from 4th Janyary to 20th April. 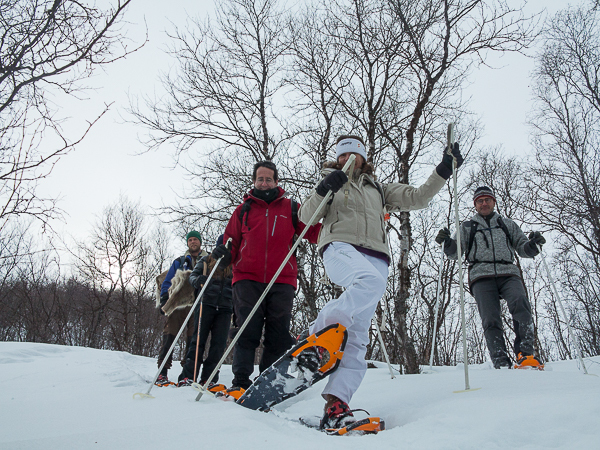 Guide, transport, snow shoes and ski pols, lunch and hot drinks and fishing equipment and licens. For more information, please observe our "general information" page and pay special attention to our "booking terms and conditions" and the "Clothing & equipment" tab.